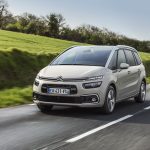 November 5, 2018 Chris WeeLeave a Comment on New Citroën Grand C4 SpaceTourer: The Most Affordable Premium 7-Seater MPV Now In Malaysia! 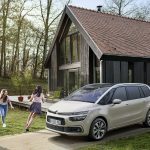 Naza Euro Motors Sdn Bhd, the official distributor of the Citroën brand in Malaysia, has revealed its 7-seater MPV designed as the perfect family MPV – the Citroën Grand C4 SpaceTourer. 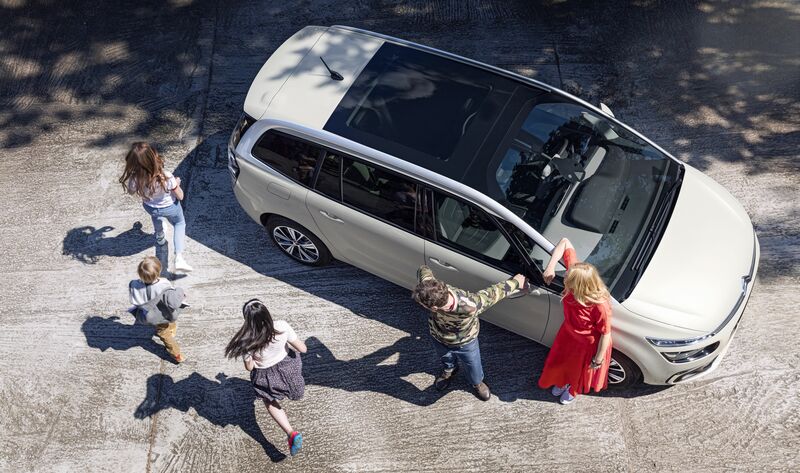 The MPV’s enhanced design, unique experience of comfort and latest-generation technologies presents a modern, user-friendly and family-oriented drive that allows drivers and passengers to travel in style and comfort. “Designed with Space, Versatility and Innovation in mind, the Citroën Grand C4 SpaceTourer is a feature-packed 7-seater MPV that turns heads on the road. 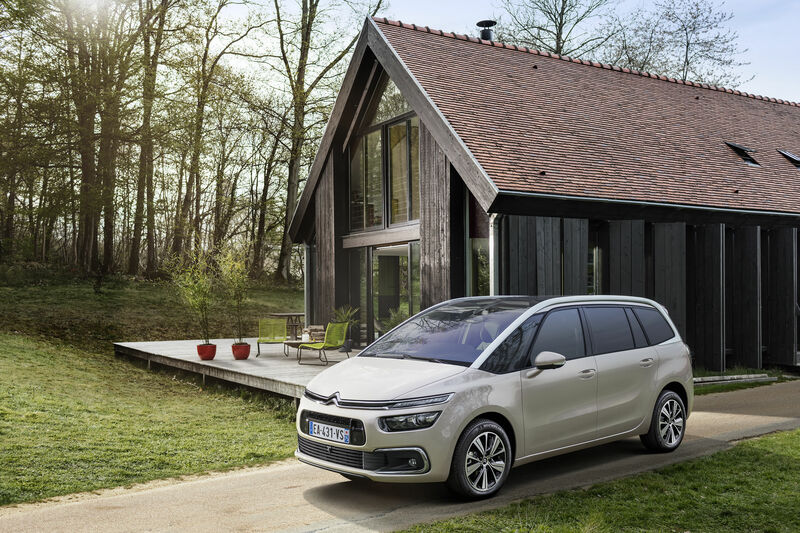 As a worthy successor of the Grand C4 Picasso, the Grand C4 SpaceTourer is bound to appease families looking for an MPV with style, versatility and innovation. 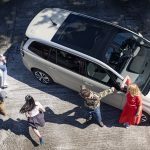 The New Grand C4 SpaceTourer offers a multitude of practical features, along with its intuitive safety and performance technologies will be well received by the Malaysian public,” said Dato’ Samson Anand George, Group CEO, Automotive Group, Naza Corporation Holdings Sdn Bhd. 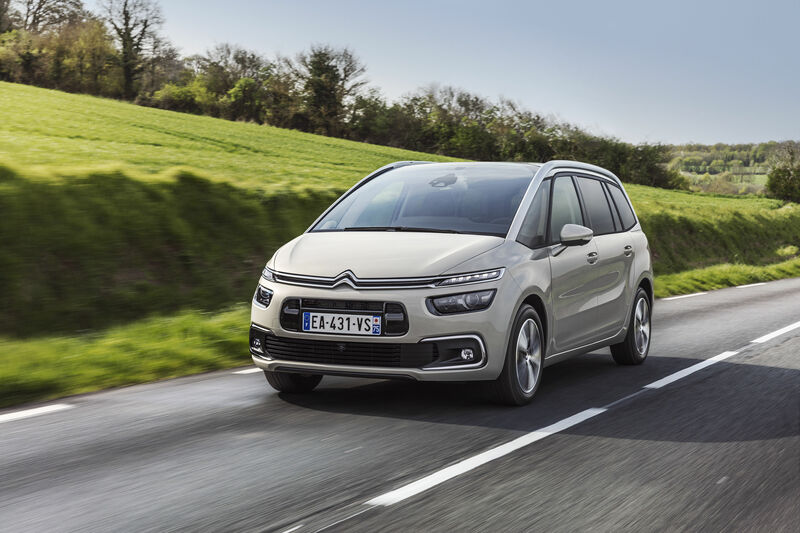 The exterior of the Citroën Grand C4 SpaceTourer instantly captures attention with a sweeping windscreen and low-sloping hood along with the unmistakable Chevron emblem that connects the headlights. 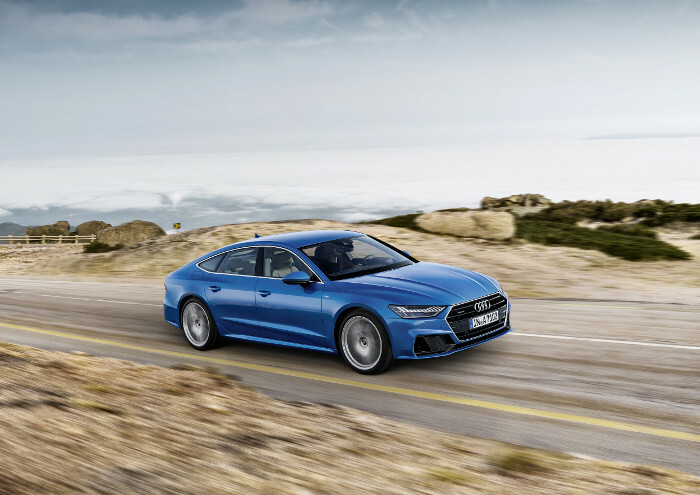 The slim headlights comprise directional Bi-Xenon’s with manual height adjustment, while the DRLs add further prove to the front-end’s stylish interpretations. Below the front bumper, the fog lamp is surrounded by a chrome fixture to provide a more appealing factor. At the rear, the fog lamp is encased in the bumper to pair audaciously with the 3-D lights. 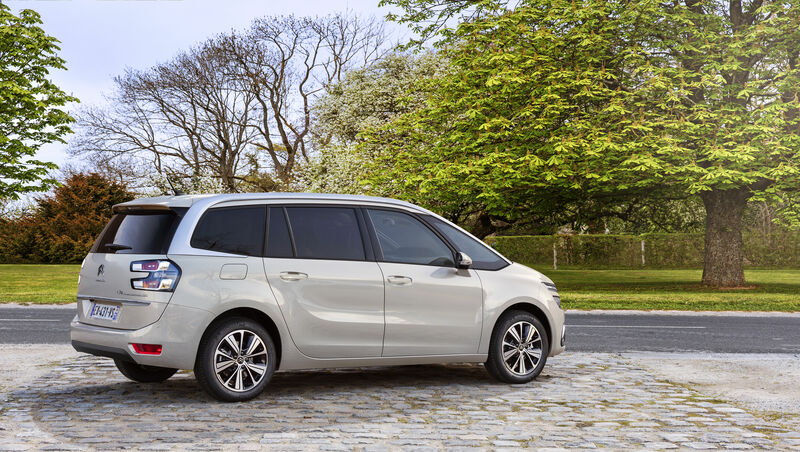 From the side, 17” Boa alloy rims and sculpted shoulder lines give this MPV a chiseled profile. 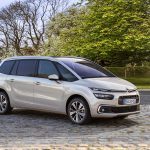 Moving to the inside, the Grand C4 SpaceTourer has a premium trim combination that Citroën uniquely calls the Hype Grey ambience. 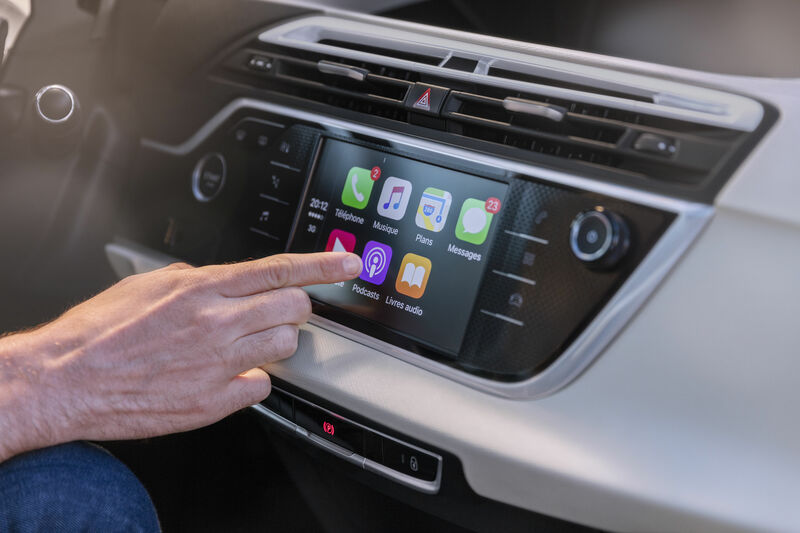 The dashboard boasts a 12-inch HD color panoramic central display that makes it the largest in the MPV segment, and is complemented by a 7-inch touchscreen nestled underneath. 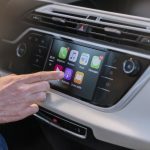 Standard connectivity includes Android Auto, Apple Carplay, Mirrorlink and USB. When it comes to amenities you have the automatic electric parking brake, electric power steering, 12V socket in the central storage and rear aircraft-style tables with LEDs. 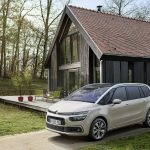 Citroën adds more practical storage compartments to its vehicle such as under-floor compartments, removable central storage box and compartments all around the vehicle. 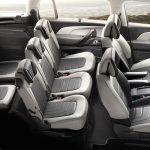 The 2nd and 3rd row seats are also retractable to expand boot volume when needed, from 632 liters original boot space to a whopping 2,181 liters. 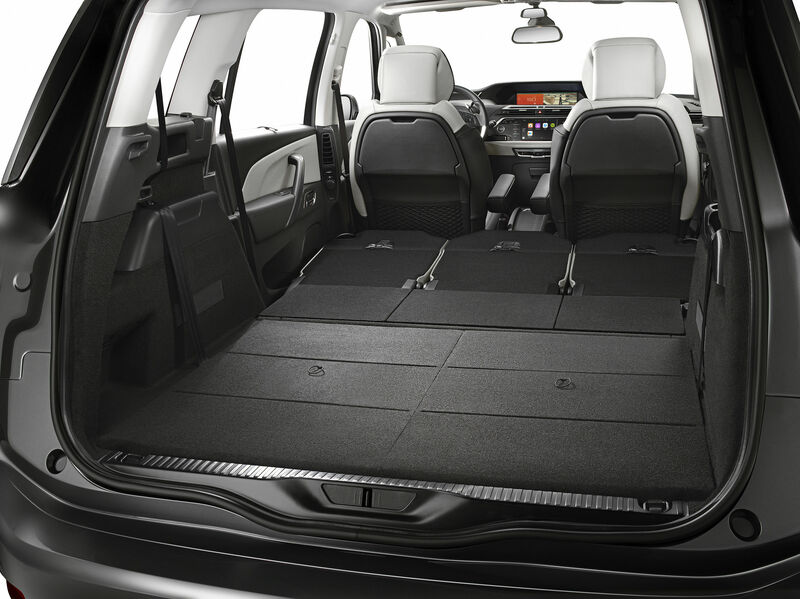 A new convenient feature introduced to the Grand C4 SpaceTourer is the motorized hands-free tailgate with height memory which works effortlessly just by placing your foot under the rear bumper to open or close the boot. 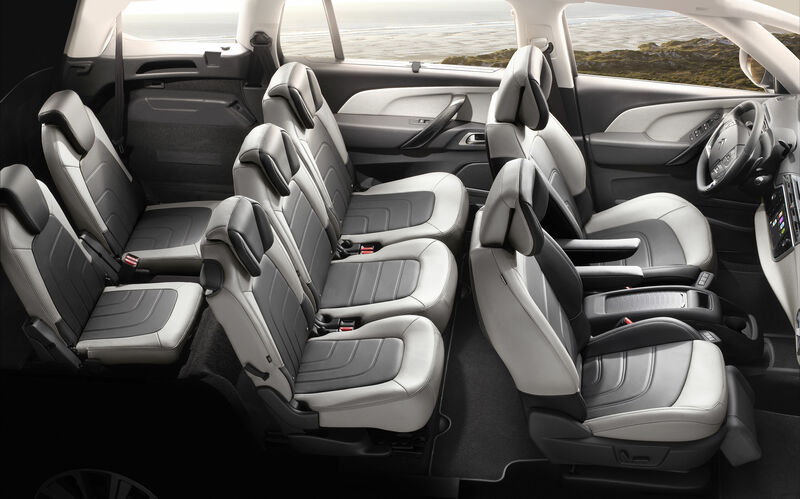 Citroën has always been at the cutting-edge of automotive comfort and has made every effort to ensure its signature Citroën Advanced Comfort program is present at each stage of the Citroën car design process, guiding the stylistic and technological creations and the product specification. Based on the Efficient Modular Platform 2 (EMP2) platform, the prowess of the Grand C4 SpaceTourer becomes apparent because the platform incorporates useful technologies aimed at guaranteeing a high level of safety and everyday comfort while offering remarkable dynamism and efficiency. 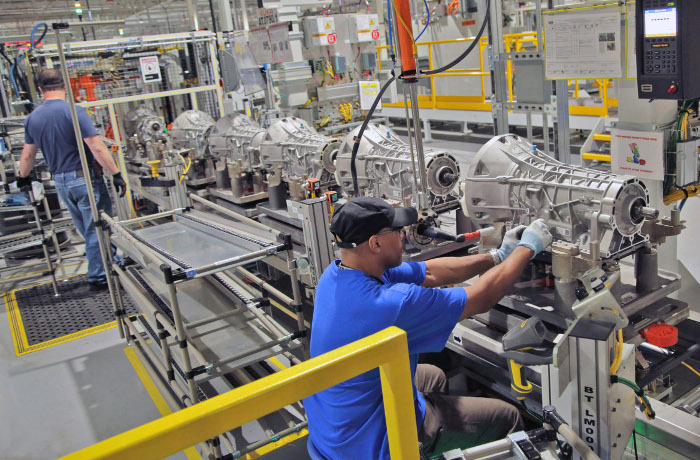 For added safety, the vehicle is equipped with innovative driver’s assistance systems such as Active Safety Brake, usually available on premium makes, Speed Limit Recognition and Driver Attention Alert. The Active Safety Brake works at speeds of 30 km/h and stops the car from imminent collision, while the Speed Limit Recognition helps the driver comply with the legal speed and reduces the risk of having an accident on the road as it recognizes speed limit signs and gives this information to the driver via the instrument panel. 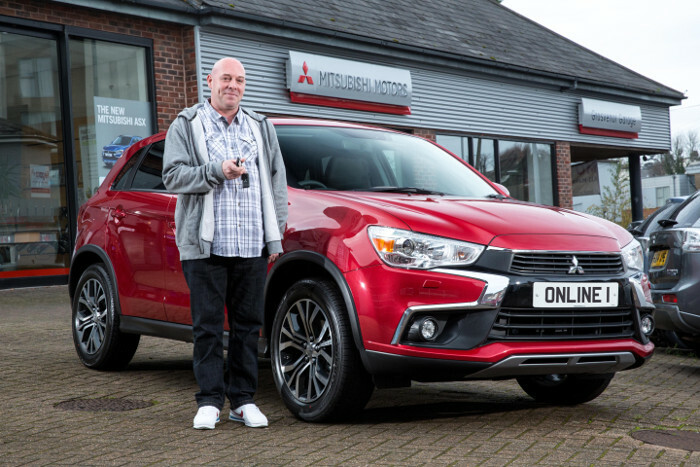 The Driver Attention Alert, on the other hand, is a safety system in place to detect drowsy driving and assist the driver to stay alert at all times on the road, using sensors on the steering wheel. Additionally, the Grand C4 SpaceTourer has standard safety equipment such as 6 airbags, ABS with Electronic Brake Force Distribution and Emergency Braking Assistance, Electronic Stability Control with traction control, Automatic handbrake and Hill Start Assist function, Interior Child Monitoring Mirror, Driver Attention Alert and 3 ISOFIX mountings on the second row. 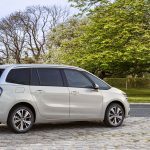 The New Citroën Grand C4 SpaceTourer is powered by a 1.6 Turbo High Pressure engine to produce 167 PS of output and a segment-leading peak torque of 240 Nm at just 1,400 rpm. 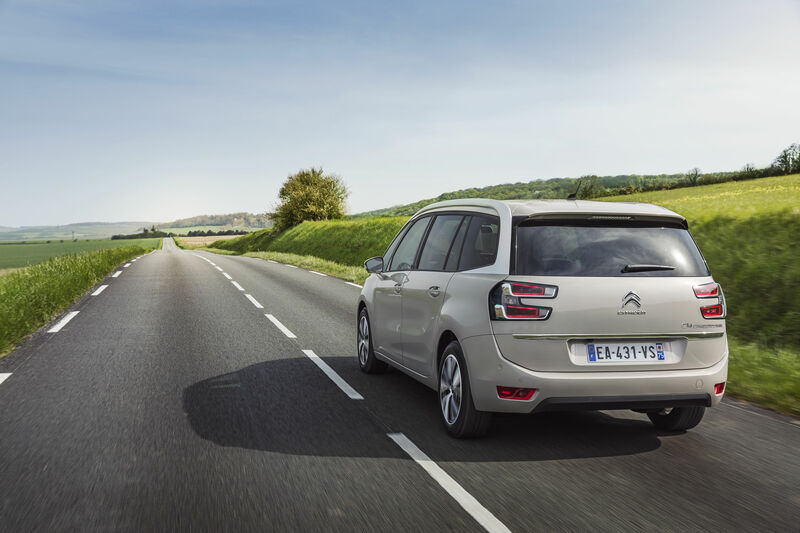 This means a heightened driving experience and the MPV can achieve a fuel efficiency of 5.8 liters/100km. Paired to an efficient 6-speed auto transmission, this MPV has faster and smoother gear shifts. . 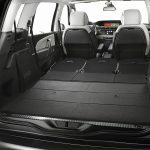 Among the colors available for the Citroën Grand C4 SpaceTourer are Ruby Red, Lazuli Blue, Onyx Black and Polar White. The Grand C4 SpaceTourer is priced at RM149, 888.00 on-the-road without insurance, and now for a limited time, it comes with a 3-year free service*, as well as a 5-year or 120,000 km Peace-of-mind warranty, 24-hour Roadside Assistance and exclusive Sky Lounge at Subang Skypark. For appointment or test drive, kindly reach us at your most convenient location: 03-5566 3685 (Glenmarie) or 03-8076 1788 (Puchong), 04-3322 001 (Butterworth) and 07-3537 000 (Plentong). VIDEO: New 5th Generation Mercedes-Benz C-Class Arrives!